If you like to dig into your Windows system’s settings, you’re probably going into Control Panel a lot. 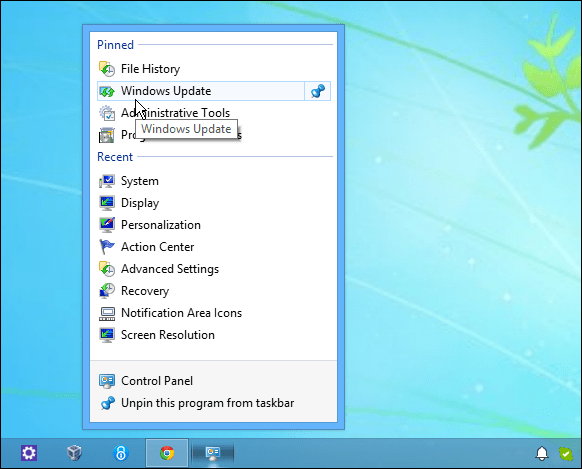 Here’s how to pin it to the taskbar for easy access. If you like to dig into your Windows machine and do a lot of custom settings and tweaking of how the OS works, you’re probably going into Control Panel a lot. To make it easier to access, why not stick it on the Taskbar? Here’s how. Note: This tip is meant to be used with Windows 7 and Windows 8.1 as they both contain Jump Lists and with Control Panel on the Taskbar, you’ll also get a handy Jump List. Also, thanks to @WinObs for the tip! 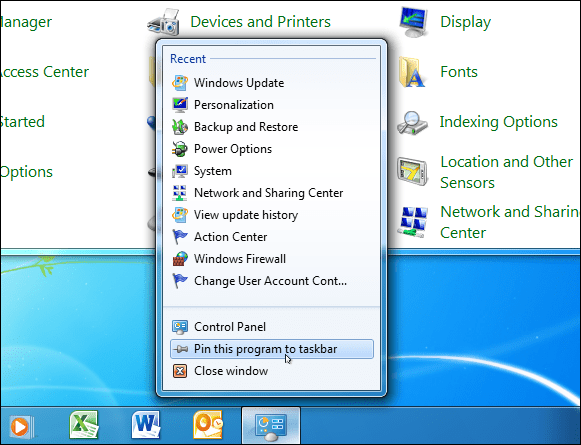 Pinning Control Panel to the Windows 7 taskbar is more than a simple drag and drop, but it isn’t difficult. Open Control Panel through the Start menu or a desktop icon – whatever method you use to launch it. Then once it’s open, the Control Panel button will be displayed on the Taskbar. 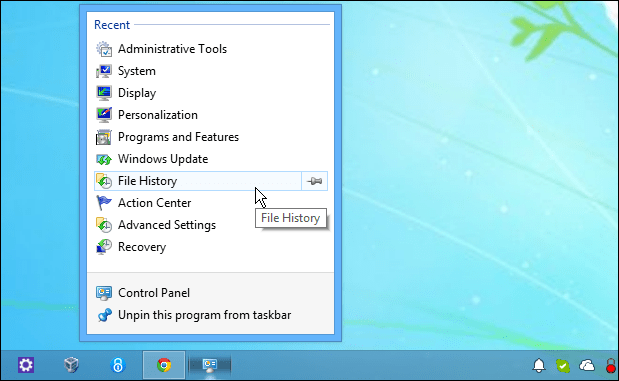 Right-click on it and select Pin this Program to Taskbar. That’s it. In Windows 8.1 pinning Control Panel to the Taskbar is easy. You can use the same method shown above, or you can make the Windows 8 Start screen show you its new features. Hit the Windows Key to get to the Start menu and type: control panel in the Search field. 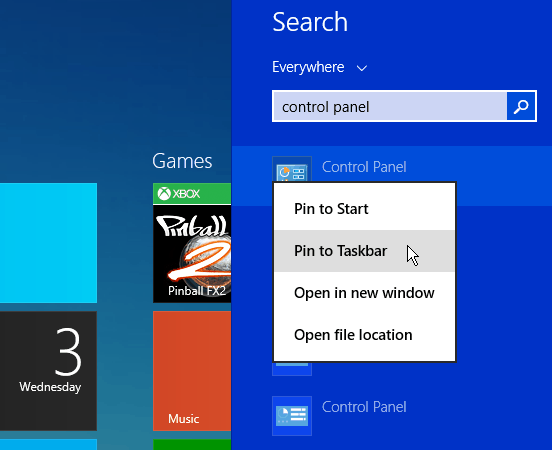 Right-click on Control Panel in the results and select Pin to Taskbar. Note that you can pin it to the Start screen as well. Now go to the desktop and right-click the Control Panel icon to get a Jump List that contains the last 10 items you accessed. You can also pin items to the Jump List so the ones you use most frequently are always available. One thing is for sure, this trick makes getting to Windows Update in both Windows 7 and 8 much easier.